If Alexa can't understand you, try spelling out "GEARS" - "Alexa, read the seven G-E-A-R-S between cause and effect." Gaining mastery over your outcomes, results and conditions! This book illustrates where and how you can make quantum advances in reaching more of your goals. Enable you to develop the best version of yourself with a new upgraded internal operating system. Give you the “house advantage” to leverage personal and business performance to a much more rewarding and fulfilling level. 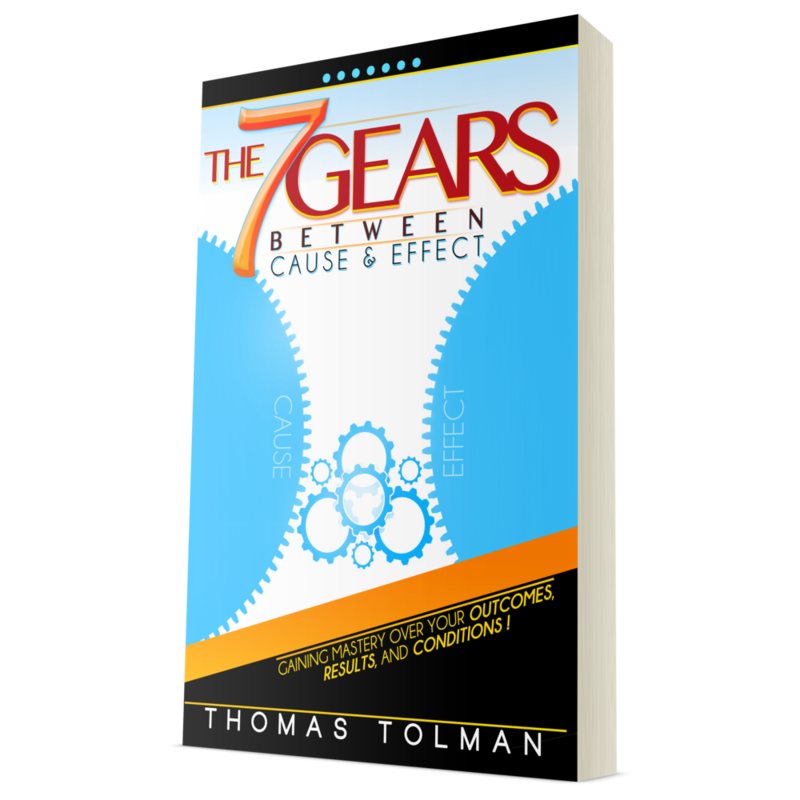 Reveal the inner working “gear-factors” between Cause and Effect so you can activate and align your true mental, emotional, spiritual capacity into life-changing results. Strengthen your confidence, sharpen your awareness toward more opportunities, build stronger more lasting personal and business relationships. Tolman calls it the missing piece to first cousin, Law of Attraction. Activating any one of the gears will change your life, using all 7 could be worth a fortune to you! Learn more about the 7 Gears Program - Get insider tips and tricks to help you gain mastery over your outcomes, results and conditions!